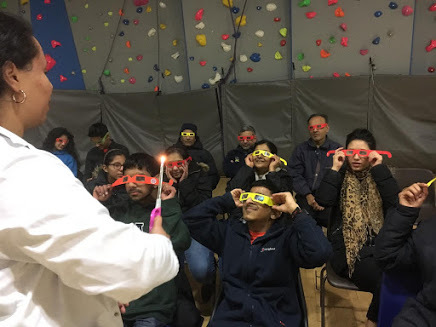 EN Celebrates British Science Week 2019 | Oshwal Association of the U.K.
Friday 8 March saw Enabling Network kick off British Science Week 2019 with an amazing interactive science workshop presented by Mother Nature Educational Services Ltd. 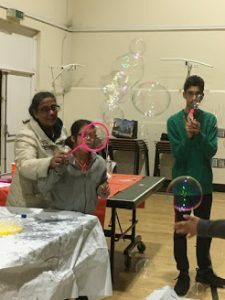 This was made possible by one of the EN parents, Khilna Gudka securing a British science week community grant. It goes without saying everyone had fun! 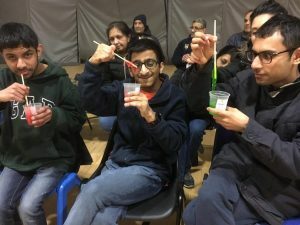 Delicious sherbet, green and red slime, through special glasses we saw rainbows from fireworks, elephant toothpaste, colour changing chemicals, making snow, giant bubbles and much more. These were just some of the scientific reactions that entertained our evening, raising our curiosities about how it works through science. It was fun and we learnt something new, too! All the kids and parents were fully engaged.